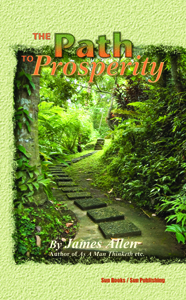 The Path to Prosperity by James Allen The Path to Prosperity by James Allen - Table of Contents: The Lesson of Evil, The World a Reflex of Mental States, The Way Out of Undesirable Conditions, The Silent Power of Thought - Controlling and Directing One's Forces, The Secret of Health, Success, and Power, The Secret of Abounding Happiness, The Realization of Prosperity. 88 pages. 5x8. Paperback. ISBN: 0-89540-403-6, ISBN-13: 978-0-89540-403-9. $10.00.